Full Conference includes Pre-Conference Workshops May 7th, SolarPalooza May 8th, Expo Hall and Learning Pod Sessions May 8th and 9th, all Plenary & Breakout Sessions, Luncheon on May 8th & May 9th, Happy Hour May 8th and Farewell Dessert Reception May 9th. Your Name Badge can only be picked up on Thursday, May 9th. CanSIA membership level will be verified. Advocate Membership does not qualify for this rate. Workshops are available to Full Conference Registrants & to two-day Expo Registrants who purchase the Workshop Upgrade. Registration hours are from 9:00am to 6:00pm. All workshops will take place in the Arabian Room. Light refreshments will be served at Workshops; however, no Lunch will not be served at Workshops. Alberta is transitioning away from its “energy-only” electricity market toward energy and capacity markets. This transition is intended to ensure that adequate price signals are sent for investment in new electricity generation capacity in the province as higher levels of variable renewable electricity generation are brought online. As the supply-mix changes, the province’s ancillary services markets will also need to be modernized. 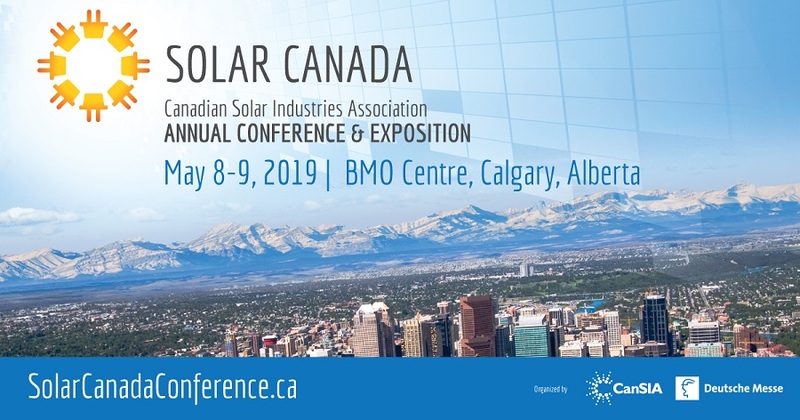 This pre-conference workshop at Solar Canada 2019 will provide attendees with an understanding of: the direction of, and rationale for, changes in Alberta’s energy, capacity and ancillary services markets; and the various ways in which those will impact Solar Energy, Energy Storage and Distributed Energy Resources (DERs). The Independent Electricity System Operator (IESO) has published a report titled “Removing Obstacles for Storage Resources in Ontario”. Recommendations focus on the removal of regulatory barriers including: i) the IESO Market Rules; ii) the Ontario Energy Board Codes; and iii) other Legislation and Regulations. This pre-conference workshop at Solar Canada 2019 will provide attendees with an understanding of: how regulatory modernization has not been keeping up with recent technological changes; and the changes that are needed to encourage and enable energy storage’s benefits in Ontario and in jurisdictions across Canada. As solar electricity rapidly advances in Canada, so too are the innovative power electronics that interface between the grid, photovoltaic modules, smart inverters, energy storage and loads. This pre-conference workshop at Solar Canada 2019 will provide attendees with an understanding of: the current and future standards for solar electricity and energy storage equipment and integration including the revised standard for the Interconnection of Distributed Resources (C22.3 No.09); and how inverter-based generation is evolving to play an integral role in the grid of the future. Will you attend the Pre-Conference Workshop Evolution in Alberta’s Energy, Capacity & Ancillary Service Markets - May 7th 930 - 1130 am? Will you attend the Pre-Conference Workshop Removing Obstacles for Energy Storage in Ontario - May 7th 1230 - 200 pm? Will you attend the Pre-Conference Workshop Standards for Connecting Distributed Energy Resources (DERs) to the Grid - May 7th 230 - 500 pm? Will you attend the Luncheon on May 8th? Will you attend Happy Hour on May 8th? Will you attend SolarPalooza on May 8th? Will you attend the Luncheon on May 9th? Will you attend the Farewell Dessert Reception on May 9th? What are the main reasons you are attending? What’s your role in your organization's purchasing decisions? What product categories are of interest to you at Solar Canada? In which provinces do you actively do business? Which provincial markets are of interest to your business?